Extended Stay Deluxe Orlando Maitland Pembrook Dr. 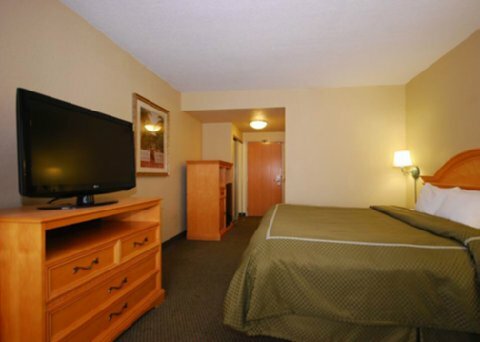 This beautiful, all-suite hotel is located just north of downtown Orlando, convenient to exciting attractions including area theme parks, TD Waterhouse and Florida Hospital. Enjoy FREE deluxe breakfast, FREE USA Today newspaper, cable with Showtime, movie channel and 24-hour coffee service. FREE wireless high-speed Internet access in all rooms and public areas. Unwind in a spacious suite or relax in the heated outdoor pool or spa. Experience exceptional value and service in the heart of Orlando. Pool closed Oct 23 thru Oct 30, 2006 for maintenance. All Comfort Suites are smoke free.